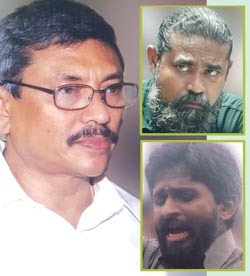 “When reminded that both individuals had supported Mahinda Rajapaksa’s 2005 campaign for the presidency, Rambukwella laughed and speculated that the Defense Secretary might have summoned the two to thank them. ‘It shows that the gratitude for the duo has not been forgotten even after two years.’” the US Embassy Colombo informed Washington. “Embassy considers the journalists’ accounts of the Defense Secretary’s thinly veiled threats credible, and consistent with previous reported behavior by Gothabaya Rajapaksa. President Chandrika Kumaratunga appointed the two Lake House media workers to their positions at the head of the Working Journalists Association, an organization created by an Act of Parliament. They are both Sinhalese and considered close to the ruling SLFP; the same applies to Nation editor Allahakoon.” the Embassy further informed. The Colombo Telegraph found the related leaked cable from the WikiLeaks database dated June 2, 2008. The cable is classified as “CONFIDENTIAL” and written by theUS Ambassador to Colombo Robert Blake. The cable details the media suppression situation just after the abduction and beating of defense journalist Keith Noyahr. The cable also details a meeting Secretary to the Ministry of Defence Gotabhaya Rajapaksa and two media workers Sanath Balasooriya and Poddala Jayantha has had with. “DCM raised the issue of the Noyahr abduction and its aftermath with Foreign Secretary Palitha Kohona on May 28. Kohona said the attack on Noyahr ‘puzzled’ the GSL because there is ‘no obvious villain.’ He said three police units have been deployed to investigate, but have made little progress. He commented that Noyahr was not particularly critical of anyone and that he couldn’t imagine who would want to hurt him. DCM pointed out that Noyahr had written an article critical of the Army Commander recently and added that Noyahr was reluctant to give a statement about his attackers because he feared retaliation against his family. Kohona dismissed this as a ‘poor excuse,’ adding that ‘if someone wanted to attack his family, they would have done it already.’ DCM emphasized that other journalists are frightened by the attacks on journalists and some are looking to leave the country because they fear for their lives. Kohona laughed and said they were just looking for any excuse to leave. He described the attacks on journalists as an ‘unnecessary distraction,’ saying the GSL doesn’t need any additional problems to deal with and certainly wouldn’t be behind the attacks. He added that the killing of Tamil journalist P. Devakumar inJaffnaon May 28 was likely the work of “other groups” operating in the area. Classified By: AMBASSADOR ROBERT O. BLAKE, JR. REASONS: 1.4(b,d). President's residence and office as well as the U.S.
bring the perpetrators of the attack on Noyahr to justice. summoning them to a meeting, which took place the same day. family find refuge in India. investigation of the Noyahr incident would lead nowhere. the Constitution have to be repealed." "Reprimand of senior journalists unacceptable"
whilst working in state newspapers. forces and that cannot be permitted. under surveillance, and that he had received threats. Padmakumara had called him and told him to be very careful. Sinhala-language sister newspaper Rivira, had fled to London. jeep were surveilling her house. for military intelligence to make such inquiries. related to the other recent cases in Colombo. has not been forgotten even after two years." counseled Balasuriya and Jayantha to keep a low profile. aftermath with Foreign Secretary Palitha Kohona on May 28.
attackers because he feared retaliation against his family. to leave the country because they fear for their lives. work of "other groups" operating in the area. service commanders, particularly Navy Commander Karannagoda. intolerable and will go to great lengths to shut it down. Are FUTA’s Demands Regarding National Policy On Higher Education Within The Mandate Of A Trade Union? Rambutkewlla has often struck me as a clown and goon in the ilk of Marvyn Silva during press conferences when he thinks he is being very smart cracking ‘jokes’ that are unfunny in response to serious questions. Lacking any sensibility or understanding of complex issues, he epitomizes the barbarity of the Rajapakse regime in Lanka at this time. shame to gosl loosing country lovers. It is said that the worst enemies are, one’s best briends. The reason is that as a good friend one is aware of the secret doings of the friend. Therefore is it surprising that Gota has turned on these two after they helped Gota, possibly because they started to demand for more, for favours done. Now they are enemies and had to leave the country, otherwise they would have disappeared like Prageeth Eknaligoda. ‘Thamangey arakku thamantama gahanawa’. Good for these SOBs. OMG!! were these two Rajapaksha supporters? what a shame! Not only Rajapaksa supporters, CBK supporters two. Political henchmen, CBK appointed both in Lake House top positions. Then both Poddala and Sanath work hard for Rajapaksa. Priyantha Kariyapperuma funded them for make newspaper called ” Mahinda” hahaha good jornos. Yes Ahangama condoms. This is how state media work in Sri Lanka, all political appointments. Political henchmen. After CBK took over media ministry from Ranil W government, she appointed these two goons at top positions in Lake House. To stay in the positions they work hard for Rajapksa without knowing Rajapaksa’s condom theory, shame on you journalists. I thought they have principle positions, now I know its just a perk issue. What a shame. No they were not Rajapakse supporters. They were planted at the Dinamina and were called the two ghosts because they were the eyes and the ears of the Mangala Samaraweera team. The others were Lucien Rajakarunanayake, Suren Ragahvan, Geoff Wijeysinghe and Bennet Rupasinghe. Furthermore there was a man called Joe Seneviratne who was parachuted into a position of importance and Hilary Rajakarunanayake Lucien’s brother from Welikada jail to Deputy Editor. The last names had two weeks reporting experience at the Mount Lavinia Magistrate’s courts. Chandrika Kumaratunga bragged that she never robbed the country? What a laugh! Lake House was emptied of all the money by these men. We had to sit and watch as the clouds rolled by!